hand. 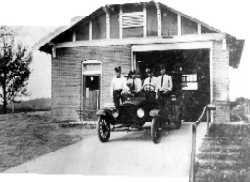 There was not an electric starter of any kind on this pumper in March, 1931.
to me by L.R. F.D. Capt. Bob Franklin. "American La France Fire Engine Company." "Argenta Fire Department" is lettered on the hood of the fire engine. Below: The NLRFD after a big snow storm. 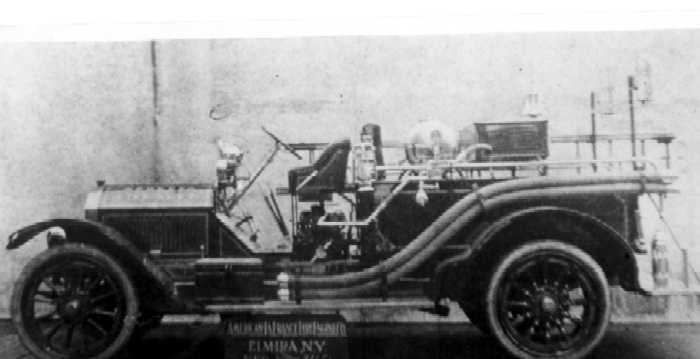 This apparatus is the 1917 American La France Pumper. Note the emblem on the radiator. Mechanics Lumber Company is visible. This business was a dominant business in downtown North Little Rock for many decades. 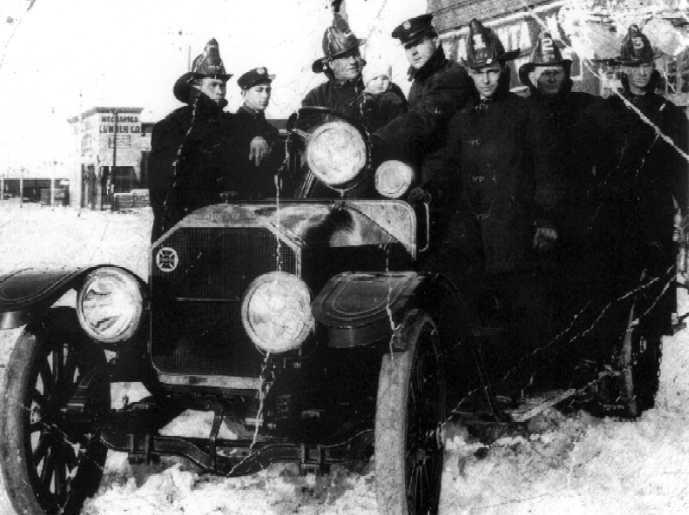 The solid rubber tires on the American La France are clearly visible here. The crank for starting the engine is visible, also. 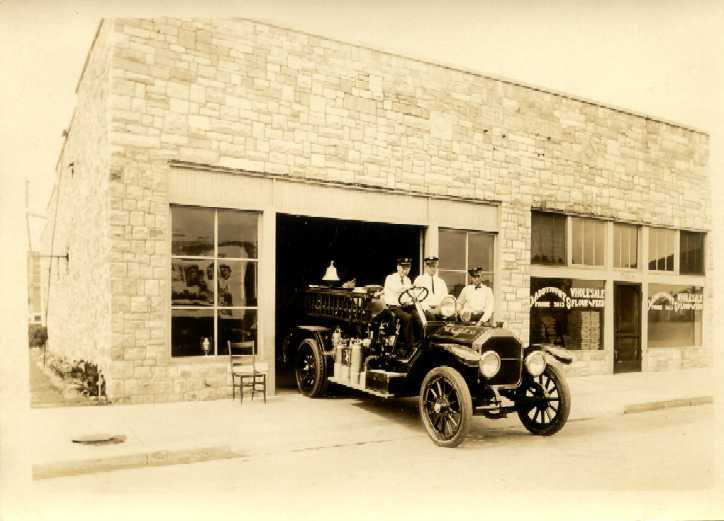 The Unofficial Website was given permission by Mrs. Ruth Farris to use this Historic Old Photo of the 1917 American LaFrance. 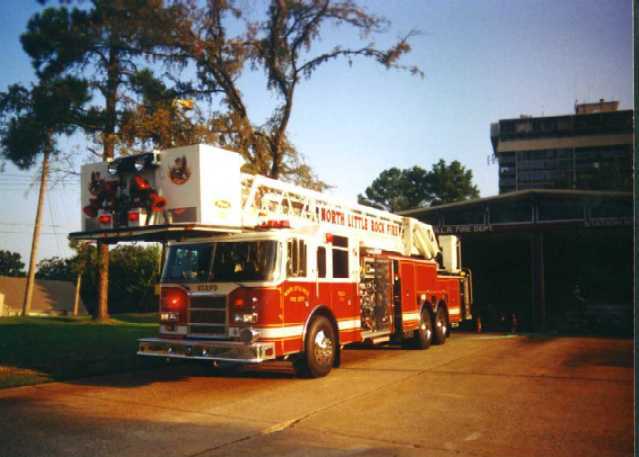 It had just been overhauled, and was sitting outside the FIRST Station 2 on E. 3rd. This was the R.R. Prioleau Building. "NLRFD"
siren are both visible to the left of the steering wheel. The bell was mounted toward the rear of the pumper.